After your equipment is set up, it is crucial to test a cash and credit card transaction on your Point of Sale. If your transaction is successful, you will see the payments data appear on the Reports tab. 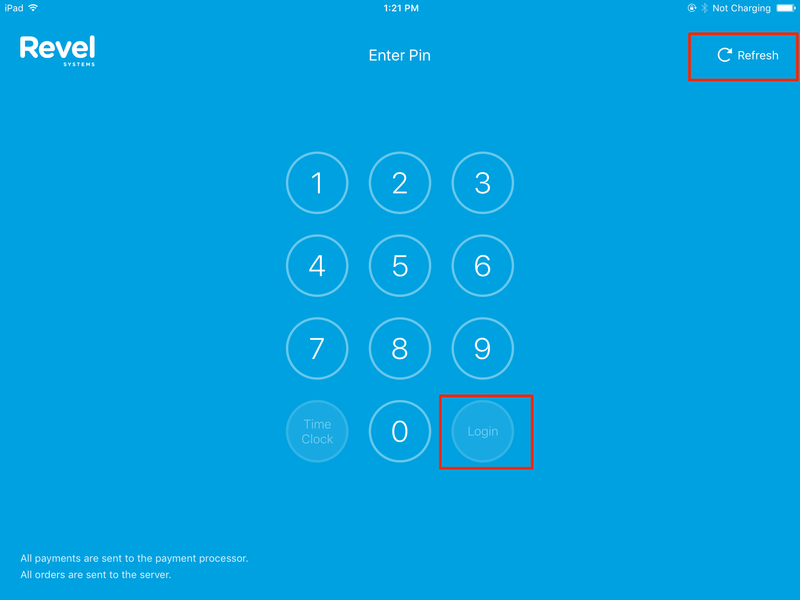 Before testing a credit card transaction, return to the point of sale login screen and tap Refresh. Once logged in, tap New Order from the dashboard. In the order, you can either select a product from the right, or create a quick item by using the Add Extra Items icon. On the ipad screen, you'll see Credit Approved. It is importnat to note that sales data cannot be erased. If you would like to bring your sales data back to the original balance, you can proceed with Refunding the Transaction. Before testing a cash sale, set your iPad in training mode by going to Settings > Manager > iPad POS > Enable Test Mode. This will prevent any test transactions from showing up in your reports. This mode will only work for testing cash sales. Once logged in, you can either select a product from the right, or create a quick item by using the Add Extra Items icon. Then enter the amount of money received for this specific transaction. 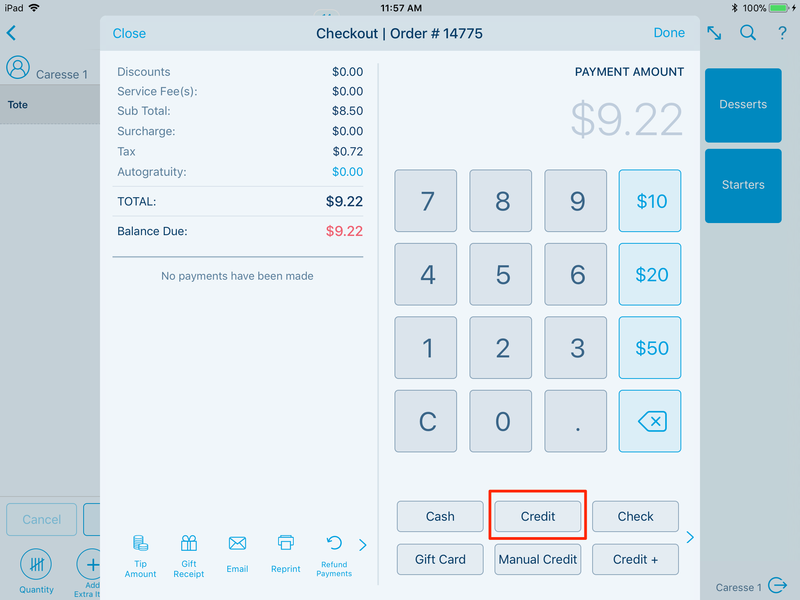 Lastly, select the Cash option listed at the bottom of the payments screen. At the top of the payments screen, you will see the change listed in red.